BJP, however, rejected the charge, saying the email purportedly by an Airbus executive referred to a helicopter deal and not Rafale. Gandhi released to the media an email dated March 28, 2015 purportedly written by Airbus executive Nicolas Chamussy to three recipients with the subject line "Ambani". He claimed the email showed Ambani visited then French defence minister Jean-Yves Le Drian's office and mentioned an "MoU in preparation and the intention to sign during the PM visit (to France)". The Congress president asked how Ambani knew about the deal and mentioned it in the French defence minister's office when even then foreign secretary S Jaishankar and then defence minister Manohar Parrikar had no information on it. "This is a breach of the Official Secrets Act. The prime minister who is the only other person who knows about the deal has informed Anil Ambani about the deal. The Prime Minister is acting as Anil Ambani's middleman," Gandhi alleged and called for a criminal investigation into the matter. The government and Ambani have repeatedly denied all allegations related to the Rafale deal. According to Gandhi, it was earlier an issue of corruption, of procedural inconsistencies but was now a matter related to the Official Secrets Act which he said was "much more serious'. "This is now treason, nothing less. Mr Narendra Modi is doing what spies do. He is informing somebody of defence matters, he is under oath to protect these secrets. "He has now given this secret to Mr Anil Ambani who knows that the biggest defence deal in the world is going to him 10 days before the deal...this itself is criminal, this itself will put the prime minister in jail," the Congress chief said. Rebutting Gandhi's allegations, Union minister Ravi Shankar Prasad said his party had serious differences with former prime ministers, who came from the Gandhi family, over several "murky" defence deals signed during their term but had never accused them of treason. "He (Rahul Gandhi) has thrown muck at his own face by abusing our honest prime minister... We will expose his lies before the public," he said. Addressing a press conference, Gandhi reiterated that there will no doubt in anybody's mind that the prime minister is a "corrupt man" and he has helped Anil Ambani, Gandhi alleged. He read out the email at the press conference, quoting it as saying that Ambani visited the defence minister's office and "told them he intends to work with AH (Airbus Helicopters) on commercial helos and then on defence. Mentioned (an) MoU in preparation and the intention to sign during the PM visit". "This is literally handing over a defence secret...The prime minister has compromised national security. He has done what a spy does. He has given defence information to a person who is not supposed to have it," Gandhi alleged. "Why don't you allow a JPC...you can investigate us as much as you want," he said in response to a question. 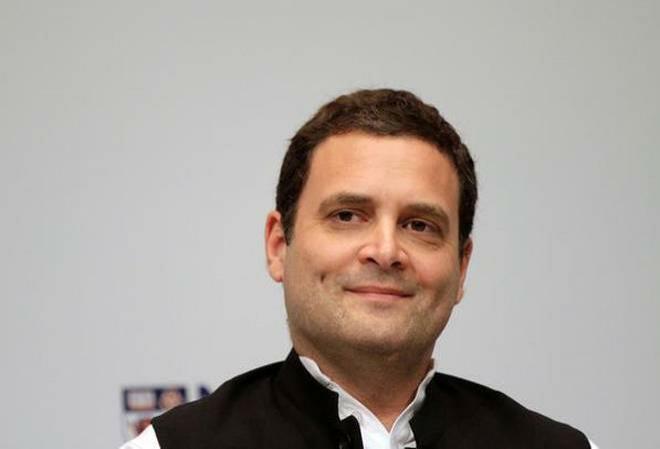 The Congress president also rejected the Comptroller and Auditor General report on the Rafale deal, and dubbed it "Chowkidar Auditor General" report.